This now-annual gathering in Qatar is possibly one of the richest prizes in club handball but, like a lot of comparable ‘world club’ events in other sports, it has the feeling of not quite being a proper competition. THW Kiel won it in 2011 but did not include it when talking about their all-conquering 2011/12 trophy-laden season. That said, for the clubs set to tilt at Kiel and Athletico Madrid there will be little room for such doubts. As we have seen on this site, Sydney University may be amateurs but they are taking it very seriously indeed. Not as seriously as Al-Sadd, one of the two Qatari teams playing in Doha this week, who have signed on loan eight players from Montpellier to see them through the tournament. That’s French champions Montpellier. You might have thought it would have been easier to invite the actual club over instead. The other participants this year are Mudhar of Saudi Arabia, Brazil’s Sao Bernardo, Al-Zamalek of Egypt and Qatari wild-card Al-Jeish. 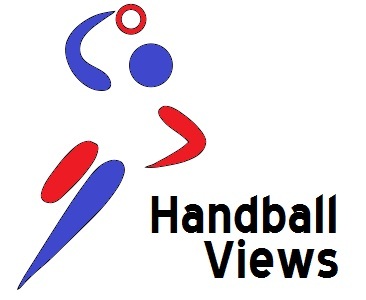 But, anyway, leaving aside any doubts about validity Handball Views will go with the flow and presume that the champions will come from Europe once more, as they have in each of the tournaments since the event became annual in 2010. We’ll be slightly adventurous in predicting glory for the Spanish rather than the German Zebras. The tournament starts on 27 August with group matches (Sydney University playing Mudhar is up first) with the championship final on 1 September. Still want to see some reasonably top-level handball in the narrow window between the end of the Olympics and the start of the club season? Well, cast your internet feed in the direction of Montenegro as the official site of the IHF Women’s Youth World Championship will be live-streaming the games from this year’s competition which starts today. There have been three iterations of this tournament so far and, remarkably, the nine medals available in that time have been won by eight different countries with only Denmark (winners in 2006, bronze in 2008) claiming two. The current holders are Sweden whereas France have lost in the bronze medal match in every single edition of the tournament. Twenty countries are competing this time around beginning with a round-robin of four groups of five with the top two in each progressing to the quarter finals. Day 1 sees eight matches, most of which are probably foregone conclusions (e.g. Netherlands are 1/5000 to beat Paraguay) but the match between Portugal and Angola (1500 BST) looks intriguing. As for who will win the tournament I’m going for the hosts who seem to have a slightly easier group than some other big-name countries and will then fly to the final inspired by the exploits of their senior counterparts in London. And France will lose the bronze medal match as that’s the law in these championships. The official page with link to live stream is here. And the wiki page with the fixtures laid our nicely is here.